The Johnstown Saddle Club Royalty has been a valuable asset to the club since it’s inception in 1960. 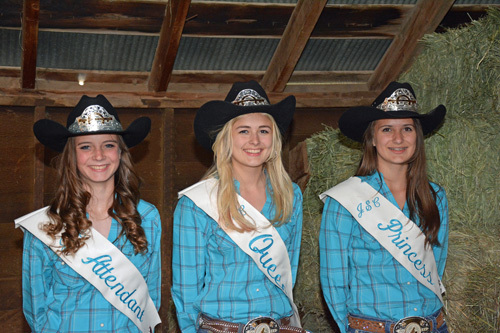 Royalty participates in numerous parades and rodeo grand entry ceremonies across Colorado and Wyoming. They also participate in our Gymkhana, Western and English riding events. Members of Royalty also volunteer their time in various community service projects. 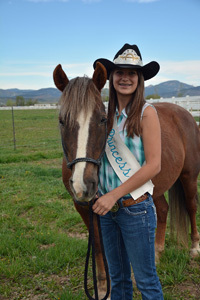 Hi there, I’m Hannah and I’m excited to be Queen for the Johnstown Saddle Club for 2014. 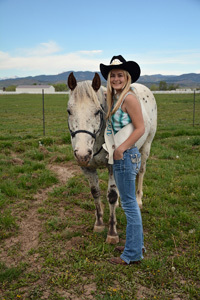 I have been in the saddle club for 7 years, and I’m glad that I get to represent us! I have an Leopard Appaloosa named Raider, you might recognize him as the one with the buzz-cut! When you aren’t seeing me ride at JSC or T4 gymkhanas, you might find me working at Ace, writing, or spending time with friends. I look forward to seeing you all this summer! Hi, My name is Kahrena Thompson. I am so excited to be this years attendant. A little about me. I show and do gymkhana, and have 2 horses. I hope that you and your horses will be making an appearance at our shows and gymkhanas. I am so pumped for this years competition and to get to see each of you out there. JSC is such a wonderful place to come and compete. and I am so honored to be able to represent us at the parades competition and everyday life! I personally love JSC an I know you will to! 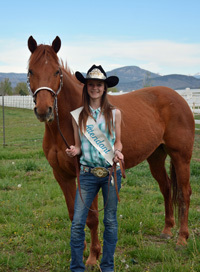 Hi, my name is Georgia Bernard and I am thrilled to represent the 2014 Johnstown Saddle Club as Princess. My mustang and I will be participating in gymkhanas, shows, and work to benefit our club in parades and events. I also enjoy trail-riding, art, playing softball, and doing many other activities. I’m proud to get the chance to represent the club for my first time, and hopefully not my last, for the Johnstown Saddle Club. I hope to see you all at the events!